What KJ Accessories Fit a BGE? I've read that the Big Joestissery will fit an XL BGE but has anyone tried to fit a DnC from a Classic or BJ into BGE? In a word, yes, the D&C made for the KJ classic will fit a large Green Egg. However, it is very important to note that the dome tappers of a the two kamados are dramaticly different. The BGE is designed with more head room, and the KJ is somewhat shorter in stature and as a result has less head room. Not that one design is better than the other, they are just very different above the felt. The KJ D&C being designed for a kamado with less headroom and while it will fit a LBGE, will not take full advantage of the BGE's capabilities. 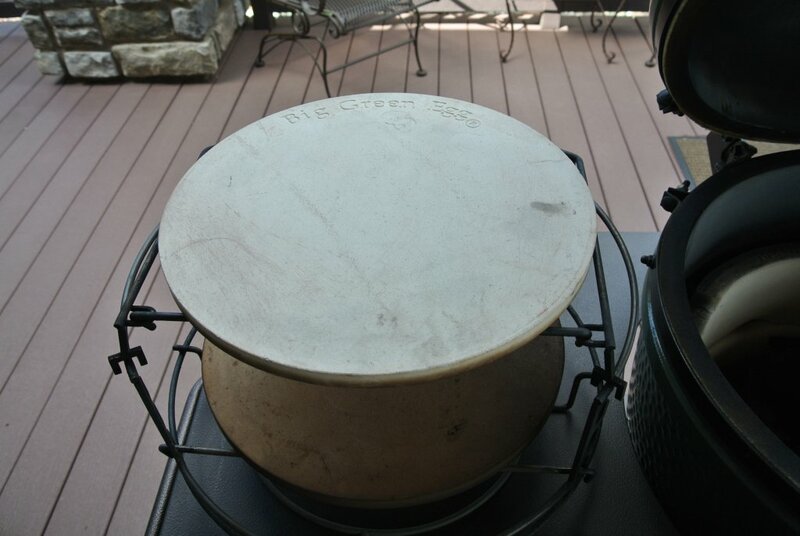 With a CGS AR for example, I can put a grate or a pizza stone almost a full 6 inches above the felt in my BGE. cooking high in the dome is a great thing and one of the premier trait qualities of the BGE. Both the CGS AR and the KJ D&C are fine racks, but in my opinion they are better suited to the grills they were designed for. 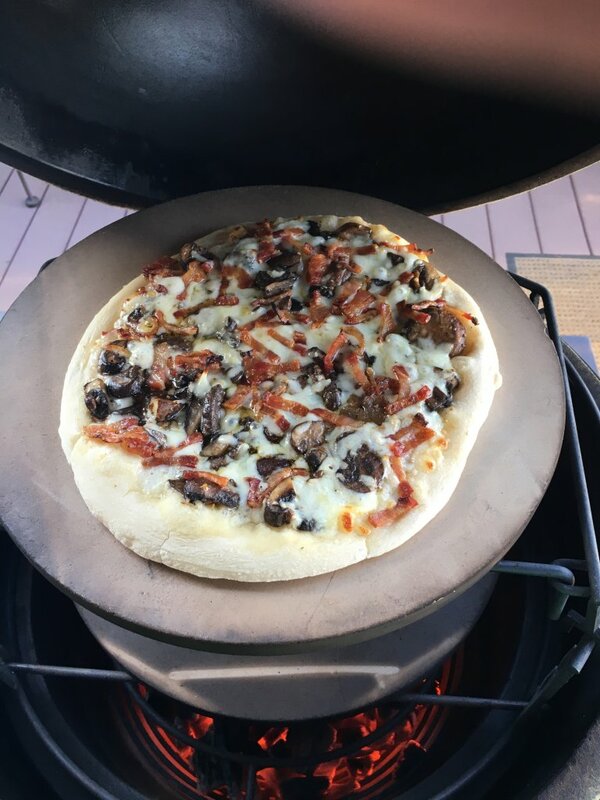 I cook on a BGE and really take advantage of the heighth and head room. Here are a couple of pics to illustrate my point. This is the AR (It is an after market add on but almost all Egg Heads cook with one. In fact CGS the company that makes the AR is now a BGE dealer as well. The joeTisseries will work in large or XL BGEs: size-specific of course.